Couple personalized alarm settings to meet different needs. Features sound-activated backlight and temperature display. 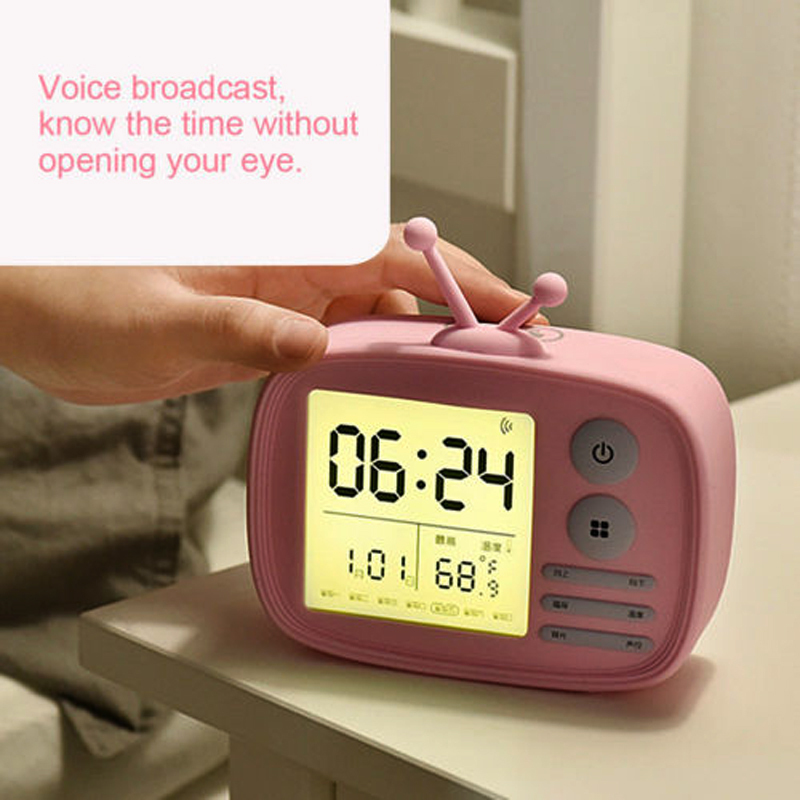 A cute bedside alarm clock for kids, this alarm clock will be sure to get you out of bed in time. It’s also small enough to take on your travels. 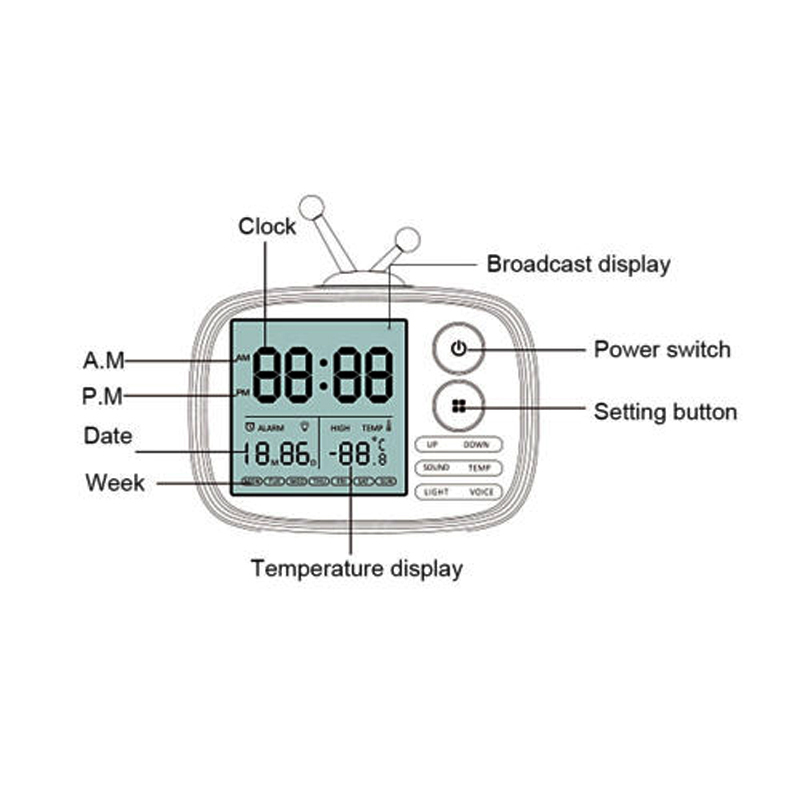 – Large digital display date, day of week, time(12Hr/24Hr) and temperature (℉/℃) with sound-activated backlight. 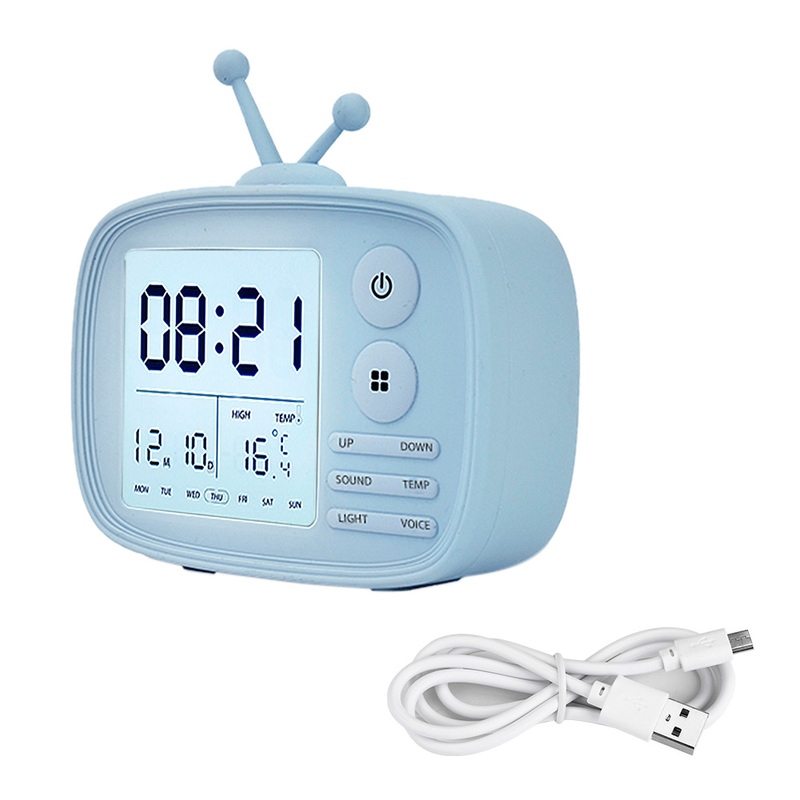 – This cute kids alarm clock has 3 alarms and 5 natural sounds and you could be waken up by your favorite one. – Time memory function allows you to set year/month/time for just one time. No need to set time again. 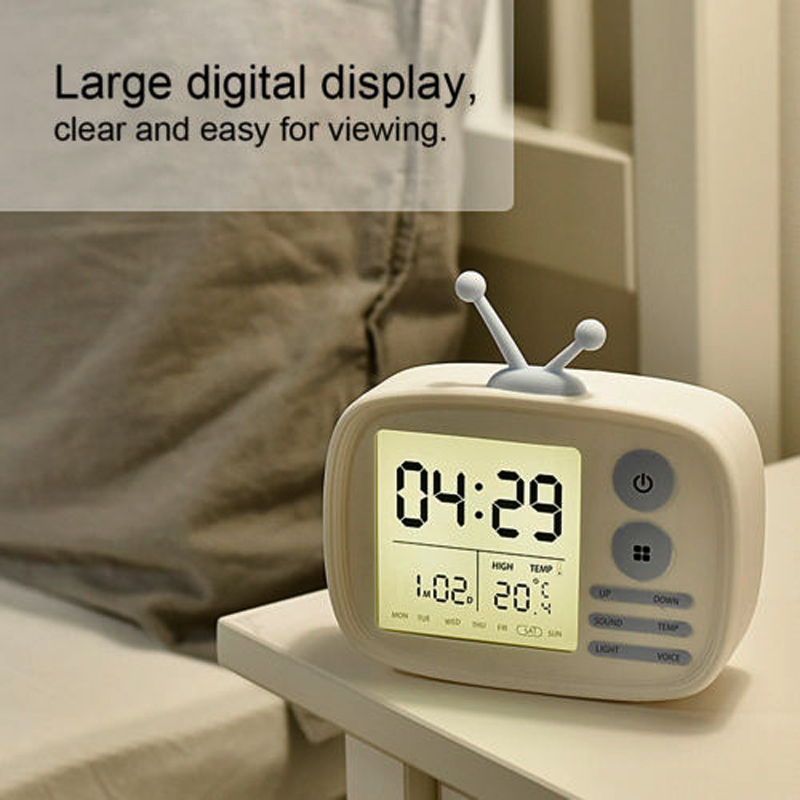 – High volume alarm are perfect heavy sleepers and snooze function allows you to sleep for another 10 minutes. – Lovely TV shape made by BPA free material makes it a great decor for bedroom and baby room as well as one of best gift ideas.